High carbon steel half-tang blade designed for optimum hardness and flexibility guaranties quality workmanship. Economical, for professionals and DIY consumers. Orange and Grey polypropylene handle is solvent resistant. Screw and patch holes. Ergonomically designed handle reduces muscle fatigue. Soft rubber-like material is easy to clean and solvent resistant. High carbon steel blade tapes drywall joints, patches small holes and sets nails. Ergonomic design reduces hand fatigue. Flat surface maximizes control. Tempered aluminum bridge assures blade straightness. 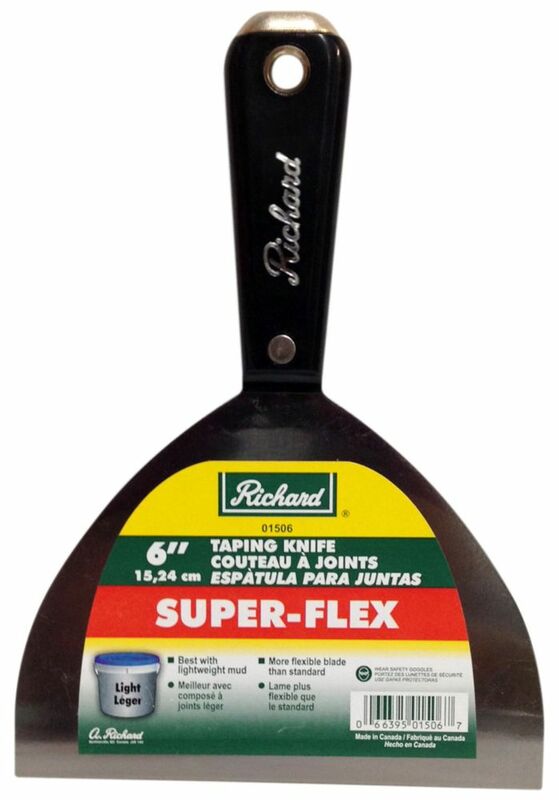 1095 super high carbon steel blade assures maximum durability.